If you live or had lived in Bakersfield, CA, has it ever crossed your mind about how the city came up with the name of a road called China Grade Loop? If you check the google map, the road doesn’t have any loops. China Grade Loop starts off on Airport Drive, east of Meadows Field Airport. The road is approximately a 6 mile two lane road continuing straight east until it merges into Round Mountain Road. Right before the merge, take a right on Alfred Harrell Parkway which crosses the Kern River. Alfred Harrell Parkway happens to be the first Kern County historical landmark. From there. the road does loop back per say to China Grade Loop and then merges into Panorama Drive. You’ll be able to see a beautiful view of the Panorama Bluffs. In the mid 1850’s, the Chinese migrated in that particular area of Bakersfield because of the California’s gold rush and treaty between the United States and China. A decade later, there was an estimate of 70 Chinese miners that were living in the area. Later, more Chinese resided in the area to work for the Central Pacific Railroad project. A small china town developed right on Green street, located in the old Kernville. China Grade Loop was named after the locals when the city completed paving the roads. If you are searching for homes in that area of Bakersfield, California, you will see much older established homes, schools, and shops . 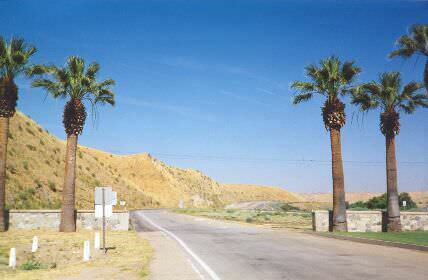 This area definitely holds well in it’s establishment especially as one of the landmarks of Kern County. Are you planning to move to Bakersfield or in the Kern County area? If you are, don’t look for a home alone. Give us a call today. One of our experienced and knowledgeable real estate agents will be more than happy to help you find your new home.